Hashtags are ubiquitous. We use them on social media to easily collect information, take part in conversations or to express our emotions. Sometimes, some of us even use hashtags in everyday speech offline. But hashtags are also important on a bigger scale, for memes, for when things go viral, or for marketers trying to get some traction with a hashtag campaign. But where did hashtags come even from? How have they gotten so popular? And how do you run a successful hashtag campaign? Make your next hashtag campaign rock! Pull together the content using your hashtag from over 15 social media channels. Ironically, hashtags have lost some of their power on some networks. In 2015, Facebook drastically curbed the use of hashtags on the platform by discontinuing the Facebook Hashtag API, making life much harder for anyone hoping to run campaigns based on hashtags on Facebook. But as the internet is constantly in flux, so is the use of hashtags and best practices connected to it. Overall, hashtags still very much serve a purpose and can be used in many ways to enhance the social media experience for everyone. Hashtags are used to make information easily accessible and searchable. They are created by companies, social causes or even just plain user power to centre conversations about certain topics. Hashtags make it easier to search for conversations and to take part in them. This goes for private use of social media and could start with the spontaneous creation of a hashtag in a conversation between friends. But it’s also happening on a bigger scale, e.g. with trending topics on Twitter, like when everyone is talking about a TV show premiere or people are taking part in a meme. They can bring together attendees of an event, giving the audience a way to interact with each other and discuss relevant topics on social media and share their thoughts to be seen by others. Hashtags are a great addition to all kinds of events. Let attendees discuss talks they’re seeing at a conference. Create a live and collaborative photo album at a wedding. Or drive communication at a trade show. There are many more ways to use hashtags at events, especially in combination with a social media wall that displays the conversation centred around the hashtag. 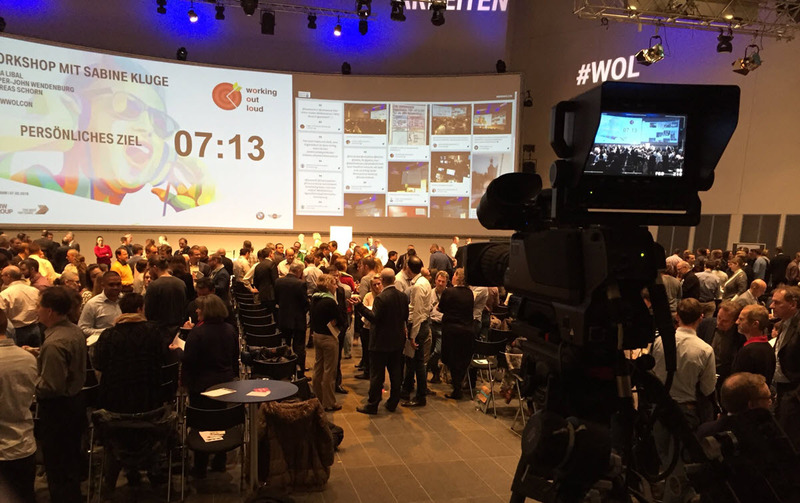 BMW Group uses hashtags in combination with a Walls.io social wall to increase engagement during their event. Engage attendees before, during and after your event! Display a big social wall at your venue and encourage them to post using your event’s hashtag. Hashtags can also be used to embellish tweets with humour or other emotions. This adds a secondary layer to communication beyond the written word and allows people to express themselves or to create a sense of community. The often wordy creations were never meant to spread anything, but are simply a part of Twitter lingo and used to make more or less clever utterances. Why am I telling you this? #BecauseReasons. Nowadays a lot of people have taken this to the next (arguably somewhat annoying) level by #hashtagging #every #single #word in their tweets or Instagram posts. From a marketing perspective, this is, of course, rather useless because most of those hashtags are not in the least bit unique (or too unique, when whole sentences are turned into hashtags) and thus not reasonably searchable. But using hashtags that way allows people to express themselves and show their belonging to a certain age group. Often, hashtags can develop all on their own, like a snowball gathering material and turning into an avalanche. But hashtags can also be driven single-handedly by outside forces who already have a lot of clout. In these cases, when there’s a conscious decision to market a certain hashtag, we are talking about hashtag campaigns. The main opportunity for marketers lies with the creation of said hashtag campaigns. 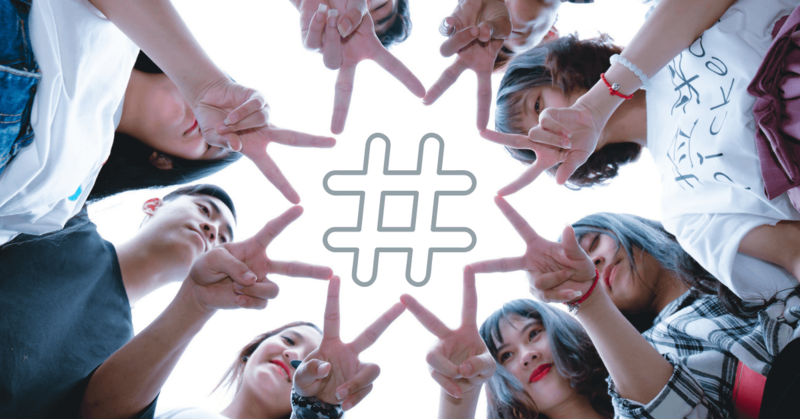 A hashtag campaign is a marketing initiative usually meant to gain social media attention, to create engagement, or drive traffic for a specific topic, product or idea. Companies, organisations or individuals can all be behind a hashtag campaign. They can be used to introduce a new product, spread content from a blog or a video, to get more interaction with customers, to create awareness for a cause, etc.. These are really just a fraction of possible uses, and the limit is your imagination. One important factor for a successful hashtag marketing campaign is choosing a hashtag that is new, memorable and unambiguous. This requires creativity and the setting of clear goals for the campaign that will determine the hashtag. A lot of brands do this quite successfully. Of course, things can also go terribly wrong, like when fast-food giant McDonald’s wanted to collect people’s heartfelt #McDStories but the hashtag got hijacked and ended up aggregating a flood of horror stories about their brand. Whoops! So what can you do to NOT end up like McDonald’s? How do you find the perfect hashtag for your campaign? Based on the name of your campaign find a hashtag that triggers emotions. That might not be your brand name, so take some time to find the perfect claim. Take this example: Everybody loves Ben & Jerry’s but it’s not exactly an emotive brand name. But their #CaptureEuphoria campaign is crystal clear on the extreme joy of eating yummy ice cream. And what’s more emotional: #Nike or #MakeItCount? Find a hashtag that is not widely in use already. In order to figure this out, you will have to check social media extensively and internationally. Simply do a search on Twitter, Facebook and Instagram! 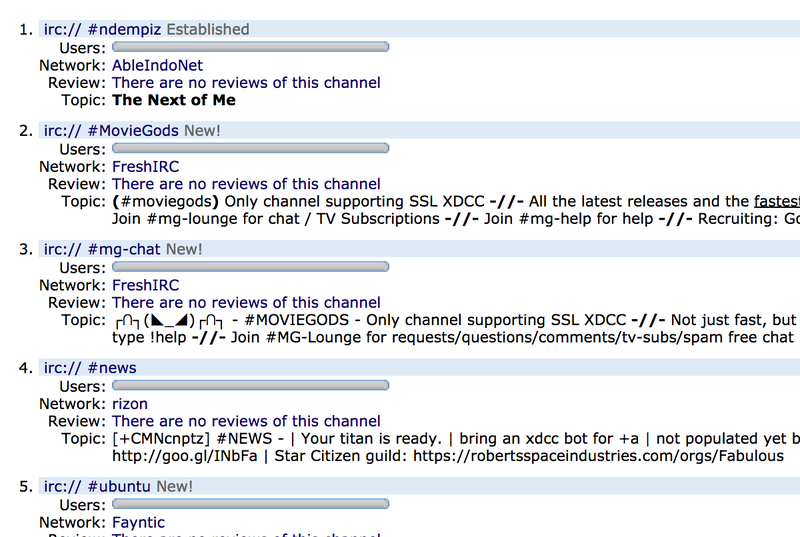 You can also create a free wall on Walls.io to test the hashtag across multiple platforms! Try to keep it below 10 characters, but when in doubt go for a longer but understandable hashtag rather than an acronym no one will get. Avoid the use of umlaut characters where possible. Decide on only one hashtag for your campaign. A combination of different hashtags will only confuse people. Only very rarely will it make sense to use more than one hashtag, for example when you’re running a campaign where hashtag use equals votes for or against something. But picking the right hashtag isn’t the only key element for hashtag campaign success. In order for a hashtag campaign to be successful, it’s crucial to support online with offline efforts. As you can see with our Walls.io Showcases, the most successful campaigns are those that promote their hashtags cross-media. It helps to kick everything off with a nice little giveaway. Nothing gets people to repost your hashtag like the chance of winning something awesome. Organise a raffle or a competition to get everyone invested in your hashtag. Of course, you’re going to do your best to promote your hashtag by using it a lot, but you have to be careful when, how and where you are doing this. Don’t try to piggyback on trending hashtags or current events unless you’re absolutely certain it is a good fit and, most of all, never piggyback on tragedies. Just like putting some thought into what you post, put some thought into how you say it as well. Check your language to avoid any racism, misogyny, homophobia, transphobia, etc. in your hashtag campaign. Of course, you can’t keep other people from posting problematic content (You can keep it off your social media wall by moderating it! ), but you can lead by example. You have read up on hashtags, learned about hashtag marketing, and you have even figured out the perfect hashtag for your campaign. Confident that you are well prepared, you finally launch your very own hashtag marketing campaign. But there’s one more thing that you should at least be giving a cursory thought: People can blatantly use your hashtag to post negative things. It’s called hijacking and it happens all the time. The important question is how you deal with it. Childish behaviour, snotty replies, belittling people and losing your temper will only alienate customers. Just like when you’re dealing with complaints on social media, you should stay calm and collected and deal with criticism in a constructive way. To be fair, how you conduct customer service on social media always matters but it’s good to remember that you’re exposing yourself more with a hashtag campaign and should keep an eye on customer service as well. You’ve found a lot of information in this blog post right here that will help you get started. If you want more in-depth information about successful hashtag campaigns, have a look at our Showcases, which also include interviews with the marketers behind these campaigns. Those interviews can give you a lot of insight into the makings of successful hashtag marketing. 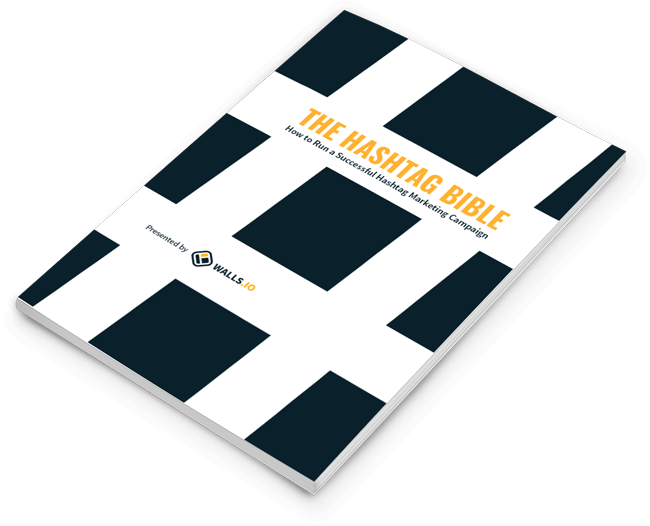 And check out our eBook The Hashtag Bible for a more in-depth guide for marketers running hashtag campaign. When in doubt about something you can of course always contact Walls.io Support. The Walls.io team has a lot of experience with hashtag campaigns and we’re happy to help.